Home > Link, Microsoft SQL Server, MSBI, Optimization, Query, Script, SQL Mentalist, SQL PraRup, SQL Query, SQL Server, Technology,, TSQL, Vishal Pawar	> BI SQL # 246 : SQL Server DBA Scripts : SQL DMV to find the details of current processes running like percent completed!! In this article we are going to cover SQL DMV to find the details of current processes running like percent completed!! How to find the details of current processes running? This script will find the details of current processes running. We can use this script with where clause as per our requirement to avoid more rows. 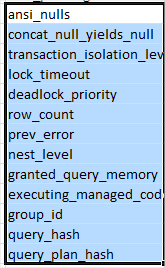 Hope you will like SQL DMV to find the details of current processes running like percent completed! !